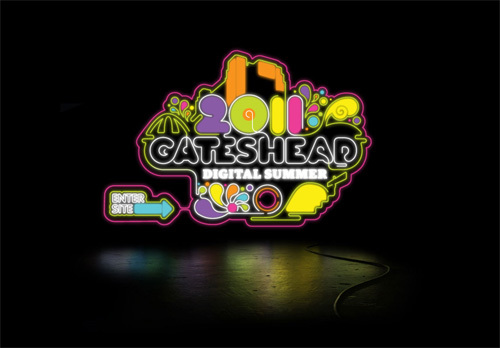 We were recently approached by Gateshead City Council to help them build a new site for this year’s Gateshead Digital Summer event. Gateshead Digital Summer is a series of forward-thinking events celebrating the digital age and demonstrating the vibrant digital sector in the Northeast of England. The events are held over an 11 week period across a number of exciting venues and include content and activities from learning about film production to getting the opportunity to be one of the crowd in the renowned Thinking Digital Conference where influential speakers from around the world take to the stage. Working alongside Keltie Cochrane, we built a visually-rich and engaging site putting our vast and varied web design experience to good use. The site features an events slider, venue map and a Flickr-based gallery from last year’s events giving users the opportunity to see what went on. In addition to the GDS website we were also asked to develop a Live Web Stream page for the Thinking Digital Conference allowing users to purchase a virtual seat to one of the world’s most recognised technology conferences.